Hazelbrook House i Dublin, Irland: Bestill nå! Hazelbrook House was established in 1997, a fully refurbished, listed building, which boasts impressive Georgian architecture and interiors. We are located in the heart of Dublin city centre; with O'Connell Street; Dublins main street, only a couple of minutes walk away. With everything our capital city has to offer in easy reach, you can relax and unwind in our comfortable bedrooms and then stroll through our historic streets and visit some of the citys many attractions. A short walk will take you to sights such as Trinity College, where you can view the famous Book of Kells, Dublin Castle, Christchurch and St Patricks Cathedrals. Hazelbrook House has 34 ensuite bedrooms , all with cable television and direct dial telephones. 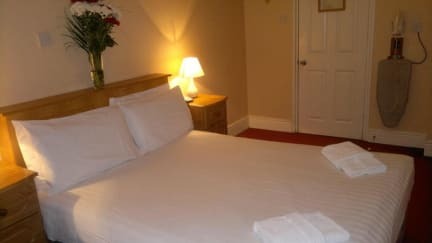 We have double, twin and family rooms all maintained to the highest of standards. 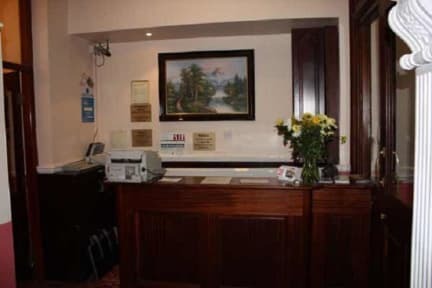 A warm Irish welcome awaits all our valued guests and our friendly staff will be delighted to assist you with directions, advice and recommendations. Dublin is a haven for shoppers, teeming with major high-street stores and small, quaint shops alike. You will find markets, arcades and malls full with crafts and gifts and a thriving selection of fashion stores. Whatever your interests, you will find shopping a pleasure in Dublin.